This winter, hundreds of families will be bracing for the cold, taking on the harsh conditions without the warmth of a coat. Many of us might take the feeling of being wrapped up in a warm coat on a cold winter night for granted, however many families across the United States perceive it as a blessing. 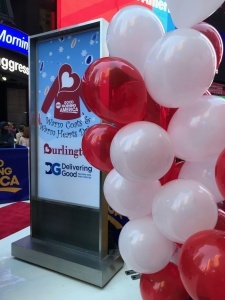 That’s why Delivering Good is excited to once again team up with Burlington Stores and their partner, ABC’s Good Morning America for their 12th Annual “Warm Coats and Warm Hearts Coat Drive.” Now through January 21, 2019, Americans can donate their new or gently worn coats at their nearby Burlington to help families within their communities in need of warmth. 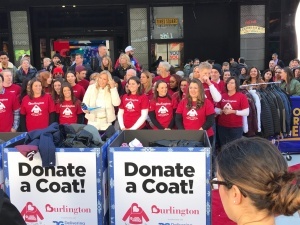 Delivering Good is grateful for the opportunity to work with hundreds of its non-profit agency partners nationwide, matching them to the local Burlington so that the coats donated are kept locally within the store community. 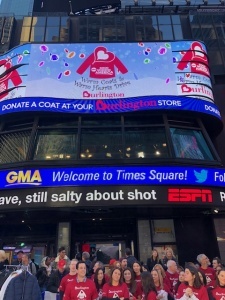 For more information on how to get involved and where you can donate, please visit: https://www.burlington.com/warm-coats-warm-hearts-drive.aspx. 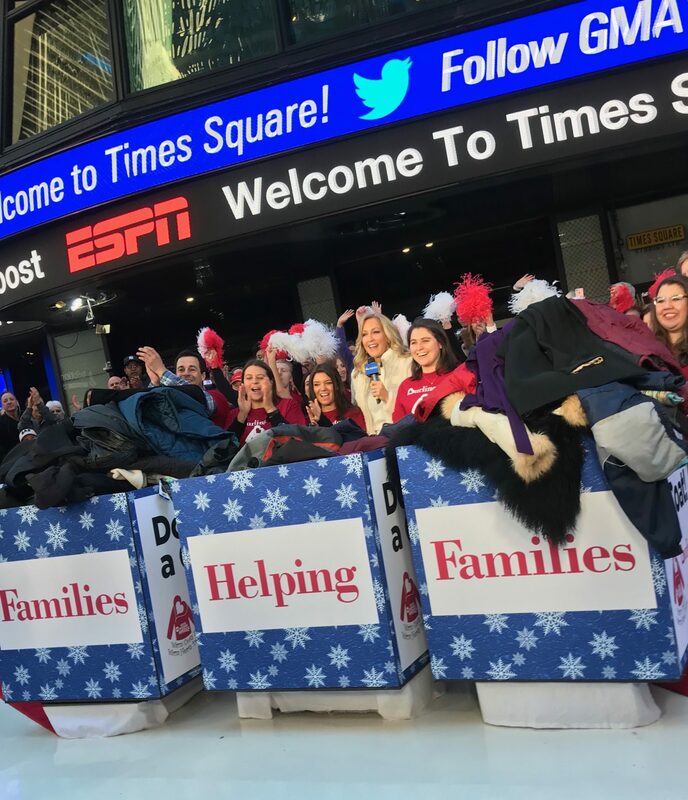 Last Wednesday, families gathered in New York City’s Time Square to launch the 12th Annual Warm Coats and Warm Hearts Coat Drive on ABC’s Good Morning America where everyone celebrated and shared the warmth for giving back. Take a look at some of the highlights below! It is vital for families to help other families in order to create a better world and a united community. This year, the coat drive will bring together families from all walks of life to help one another. With the immense success of the previous 11 years, we hope to attain a record-breaking number of donations from our 12th year. After kicking off the campaign with ABC, Delivering Good and Burlington participated in a distribution event at Acacia Housing Network’s facility, a housing service that provides behavioral counseling and housing services to individuals and families in need. Delivering Good and Burlington staff provided warm coats to families in need. It was a memorable day that involved connecting with others and it was an honor to have the opportunity to provide necessary items to fellow community members that are experiencing difficulties at this time in their lives. As a special thanks to those that donate a coat in stores, customers are offered 10% off their next purchase. 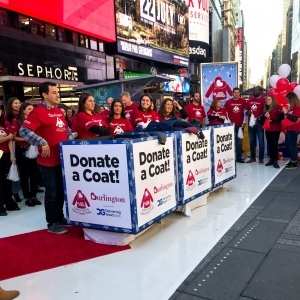 Throughout the coat drive’s history, millions of customers have donated over two million coats to help families in need. Together, let’s spread the word, share the warmth and make a difference this holiday season.